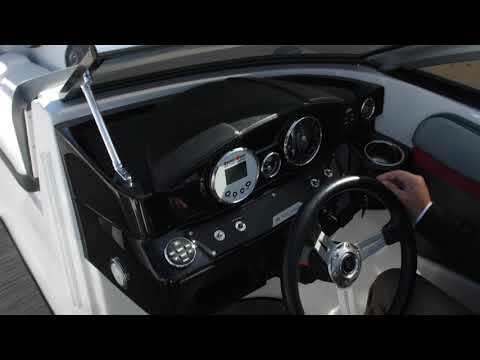 2019 Four Winns HD200 powered by a Mercruiser 200HP engine. Options include: White exterior color. Ivory and walnut accented interior cockpit color. Black bow and cockpit cover. Dune cockpit reed flooring. Liquid blue waterline stripe. Wakeboard tower with black canvas. Convenience package. Espresso and teak swim platform mat. Espresso and teak extended swim platform mat. Extended swim platform. Sitting on a black single axle trailer with brakes. Bank financing available.